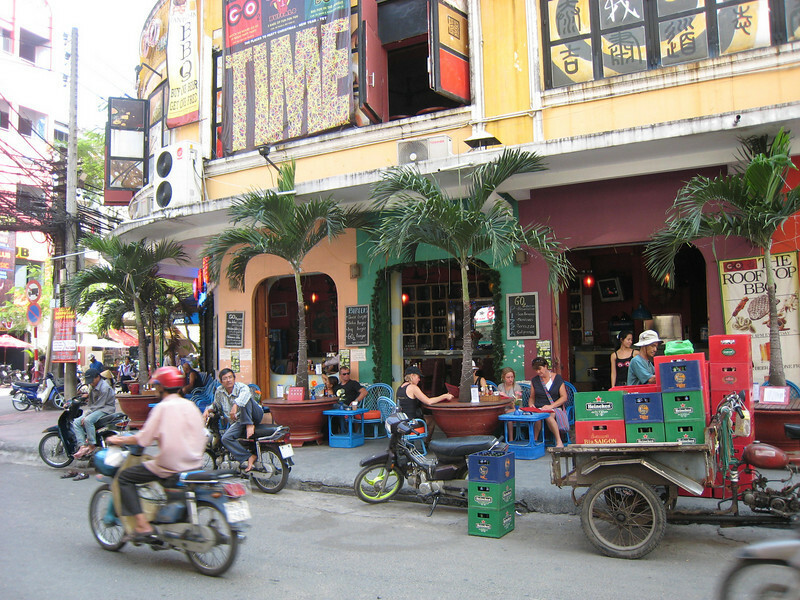 I decided to burn some frequent flyer points on a short trip to Ho Chi Minh City, Vietnam. So therefore, last Wednesday 16 December, we (I and Caecil) flew to HCMC, was picked up at the airport, and stayed at this pre-booked place in the Pham Ngu Lao area of the city. We returned to Jakarta on Sunday 20 December. I had not my best of luck: Diarrhea on Thursday and fever on Friday. 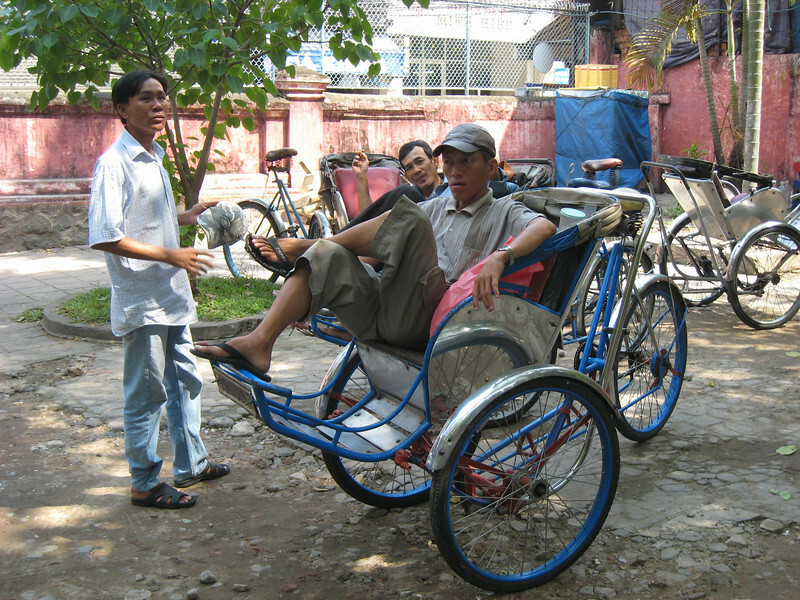 But apart from that, we did our best to explore downtown HCMC, by foot and by taxi. I couldn’t avoid noticing that the local people were generally not the most friendly bunch I have encountered. Thursday: Went to the Ben Than Market (after my diarrhea had stopped). As usual, I didn’t buy a thing (except food and drink), while Caecil bought many things. Friday: Went to the War Remnants Museum (after my fever had disappeared). Saturday: Went to the Jade Emperor Pagoda, Notre Dame Cathedral (which was closed), the main post office (which is the nicest post office building I have ever seen), and the Reunification Palace (which was closed too). During sunset (well, it was cloudy) we had a couple of strong drinks at the rooftop bar of the Sheraton Saigon. Just outside our hotel, Pham Ngu Lao. 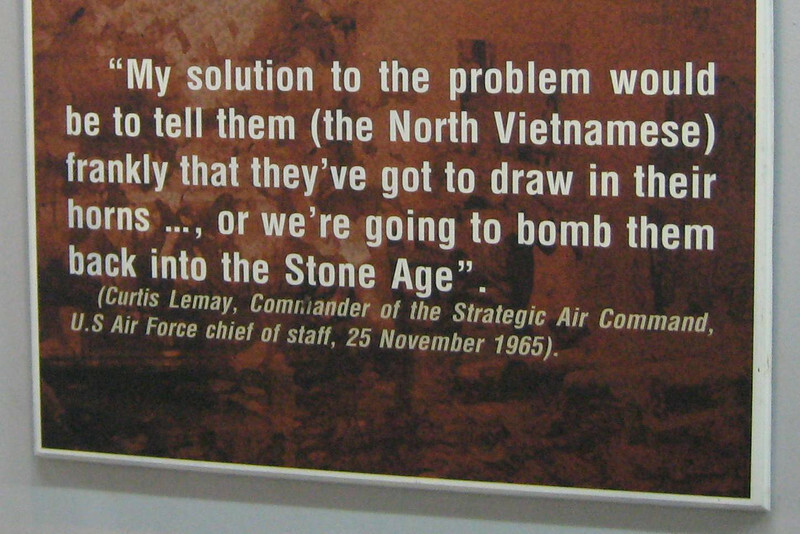 Quote seen at the War Remnants Museum. 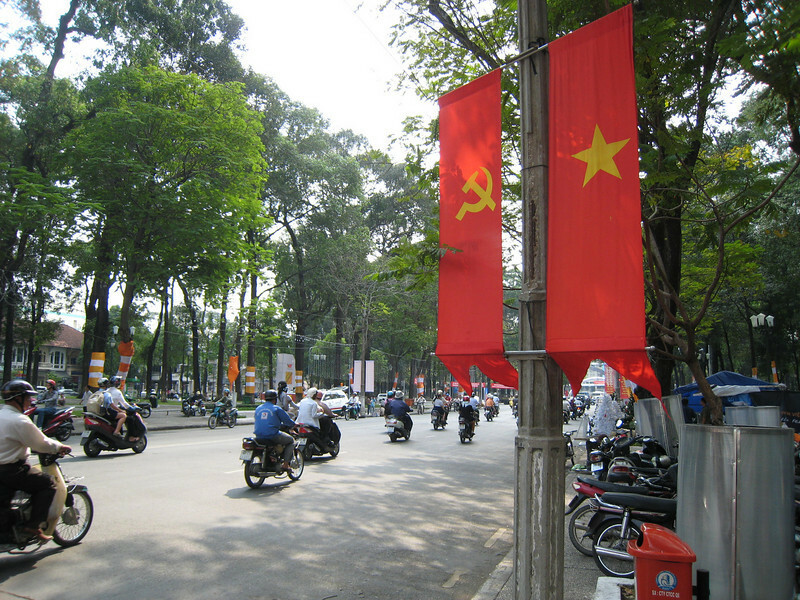 One of the main streets in HCMC. 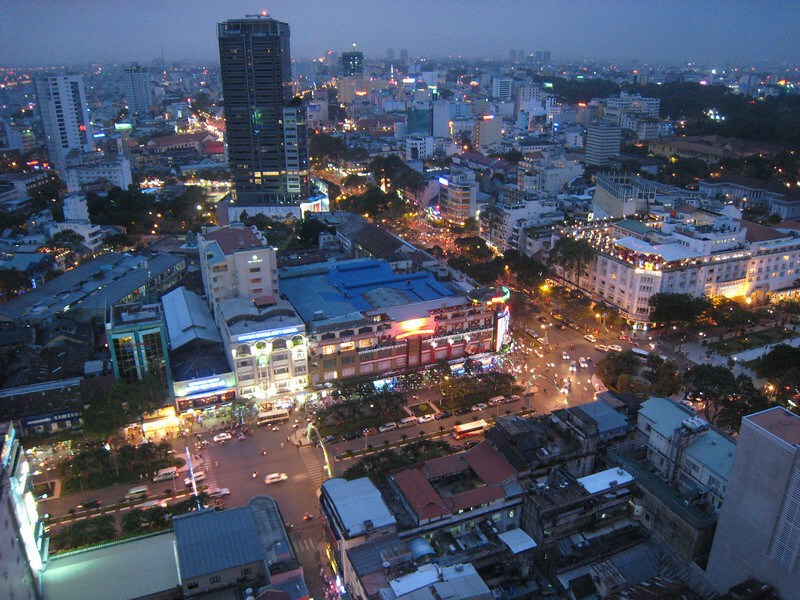 HCMC skyline, seen from top of Sheraton Saigon. Thousands of motorbikes, but very few cars. Valid HTML5 and CSS. 48 queries in 0.302s.